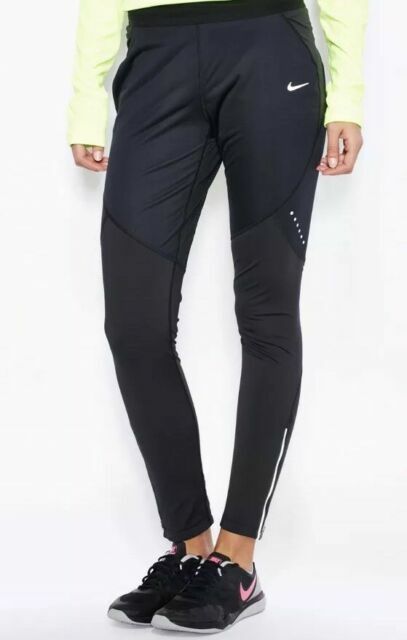 The Nike Shield Tightsp are comfortable running tights. The Shield material is windproof and water repellent, thereby helping you to stay dry and comfortable in all weather conditions. Zipper pocket on rear.